Lifetime’s roster of actors is gaining major prestige, all thanks to the Weinstein Company. Two years after dumping Nicole Kidman’s Oscar hopeful “Grace of Monaco” off at the TV network — following terrible reviews after the opening night film of the 2014 Cannes Film Festival — the Weinstein Company has granted the same fate to “Suite Française,” a wartime romance starring Michelle Williams. Like “Grace of Monaco,” the film will bypass a theatrical release in the U.S. altogether, in favor of a premiere on Lifetime. Unlike “Grace of Monaco,” Saul Dibb’s drama earned decent reviews when it opened in the U.K and France in 2015. “Suite Française” has a 75 percent fresh score on Rotten Tomatoes compared to “Grace of Monaco’s” woeful 11 percent score. According to a Weinstein Company spokesperson, Harvey Weinstein made the decision to hand the film off to Lifetime “for a better life” because it “didn’t perform well overseas.” Its foreign box office tally stands at $9.3 million. The film’s move to Lifetime comes a year after the company signed a deal with the Weinstein Company for a multi-show deal that included series like “Project Runway” and film package. In “Suite Française,” Williams plays a French villager who strikes up a romance with a German soldier (Matthias Schoenaerts) in Nazi-occupied France. Kristen Scott Thomas plays her domineering mother-in-law. The film is based on the best-selling book by Irene Kemirovsky. Bob and Harvey Weinstein both served as executive producers. Despite the bad reviews it garnered, “Grace of Monaco” did well for Lifetime, earning two Emmy nominations, including Outstanding Television Movie, as well as a Screen Actors Guild Award nod for Kidman’s lead performance. “Suite Française” debuts on Lifetime May 22. 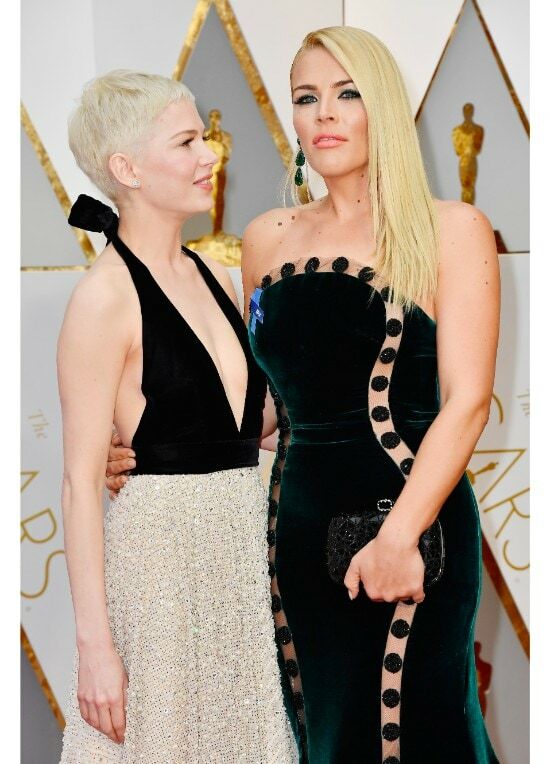 Oscar nominee Michelle Williams showed up to the 89th Academy Awards with her bestie, former "Dawson's Creek" co-star, Busy Philipps in tow. It's no secret that the two stars frequent red carpet events together. Click through to take a look back at the awards shows where they've been spotted over the past 10 years.